Happy Customers the revolutionary friends portal for people sharing shopping experiences, free offers and the power of buying with knowledge is closed for now. For more info see History and Future. Thank you to all who contributed to this site, perhaps a little ahead of it’s time. Just heard that Google offered Groupon.com $6billion, which was turned down. 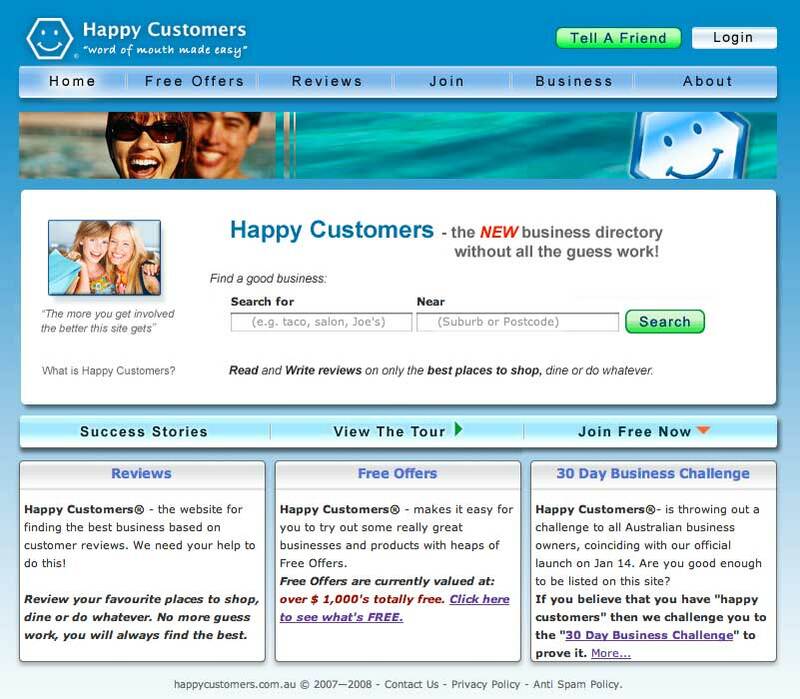 Same concept as Happycustomers, back in 2004 which I could not find anyone to invest in my idea. I could see the trend coming, Bill Hoovey could see it but no one else could. We had about 100 businesses that could see it too but our seed capital ran out before we could really see the light of day. Mr WordPress on Goodbye world!